Delta Blues Promotions in association with the Magnolia Revue Blues Group and Delta Blues Connections is at the crossroads of the Blues, Highway 61 at the junction of Highway 49 in Clarksdale,MS, Ground Zero for the Blues.Delta Blues Promotions is all about the down home,Mississippi style of Blues,soul, rhythm and blues. 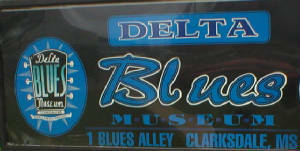 The artists here are not a part of Delta Blues Promotions, and in no way associated with Delta Blues Promotions. We do not intend to imply or convey the thought that we are their managemnet or sole booking agency. We are the conduit or Avenue for the Blues to get out of Mississippi;however Delta Blues Promotions owe it to the heritage of the Blues, and its roots in the Blues drenched Mississippi Delta to open doors for these musicians, if possible. The musicians here are from the Blues rich Mississippi Delta,and have ties to Mississippi in general. These musicians are available for booking for concerts,and out doors festivals directly from their management company, East-West Entertainment Group, or Blues Rivers Records. We are excited that you are visiting our web site. Delta Blues Promotions is here to provide unique entertainment for any occasion. On this site you'll find information about Blues and soul musicians. We hope you will find all of the Blues that you can use for you next event. 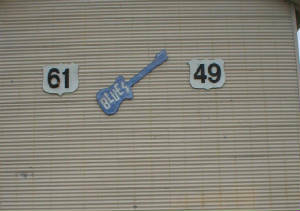 Blues and Soul, we have the blues and soul that you can use.